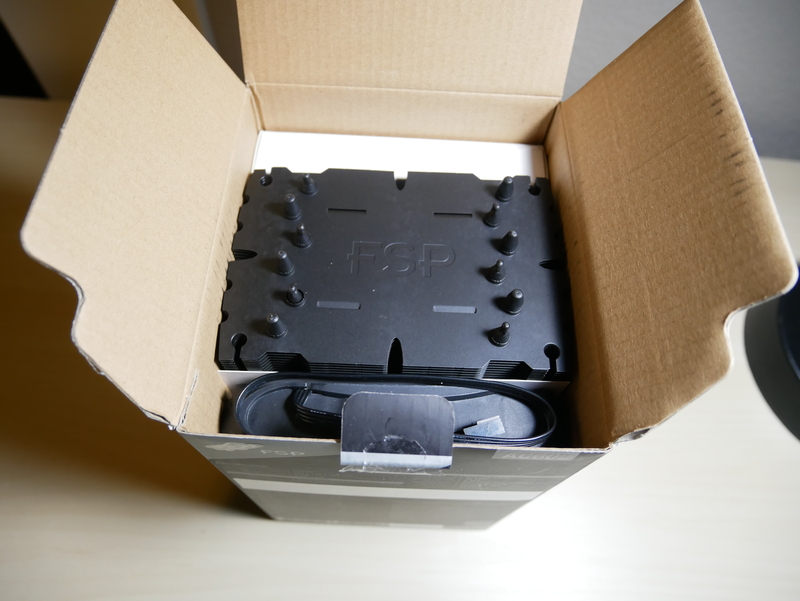 FSP is a tech company known for their power supplies. Their quality and attention to detail, make their power supplies some of the best in the business. FSP also makes PC components other than power supplies. 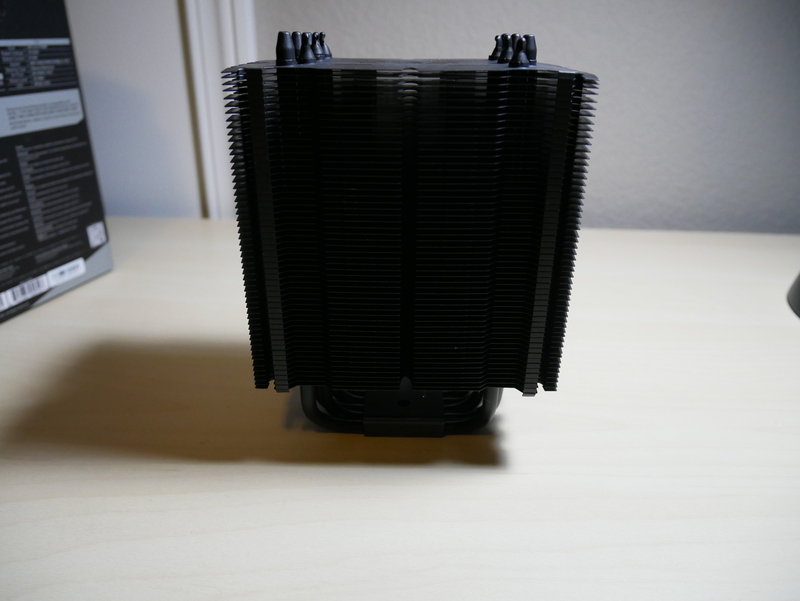 Today we will take a closer look at the FSP Windale 6 CPU cooler, which retails for $44-48 USD. CPU Direct Contact: Six heat pipes directly contact with CPU – 100% copper heat pipes are touched on the base which creates a large thermal area and speeds up the heat conduction from the CPU to the heatsink. Best Air Flow with Fin Design: Each cooling fin of Windale 6 is shaped four rectangular holes which can increase the surface area for contacting the heat. With this design, the inside air flow becomes more smoothly and heat emission process comes more quickly. Optimized Fin Design: Windale 6 is featured with unique surface treatment specifically designed to keep heat away from its source rapidly. 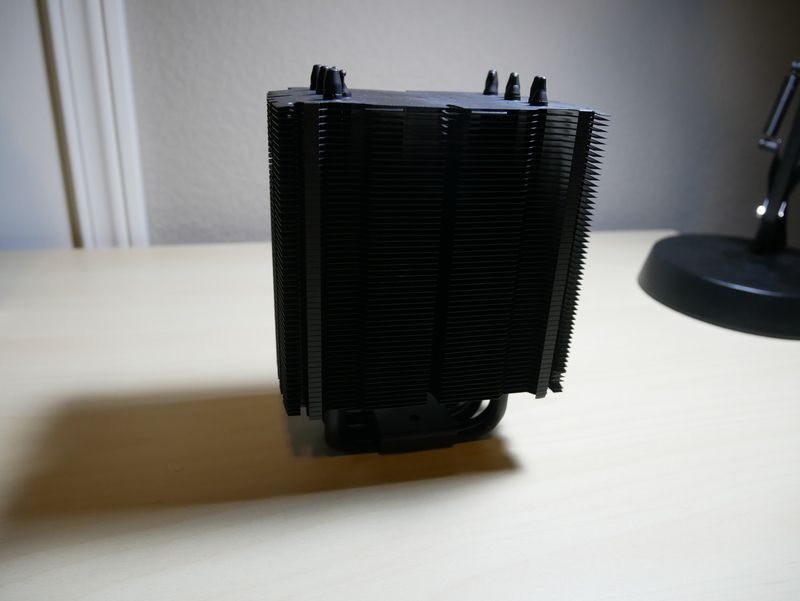 120mm fin design provides optimized cooling effect, also enhances the speed of heat dissipation. Windale Series Get Ready for AMD Ryzen and Intel Kaby Lake: The Windale 6 comes with a mounting solution that allows it to be compatible with most sockets. Best Performance and Silent Fan: With paragliding blade design, the fan keep airflow over key components more efficiently and decreases noise. 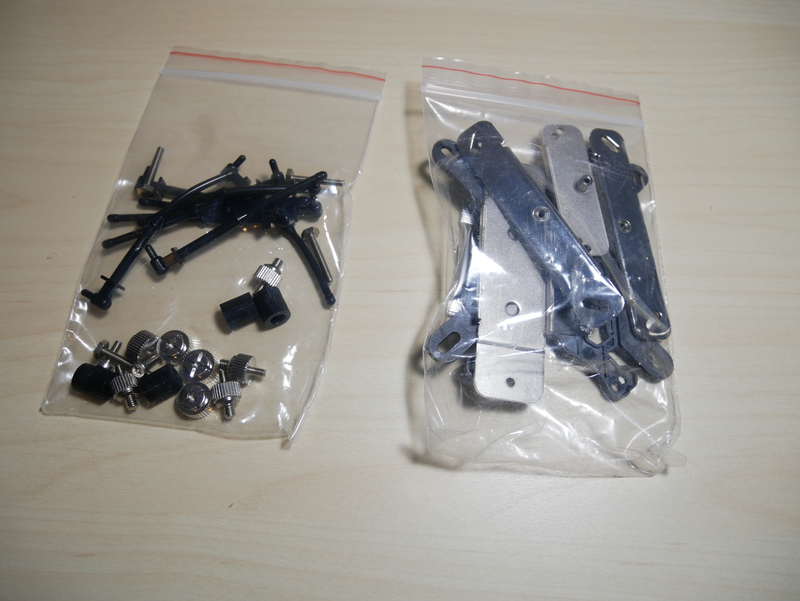 Stable Anti-Vibration Rubber: Flexible and soft anti-vibration rubber is easy to assemble. 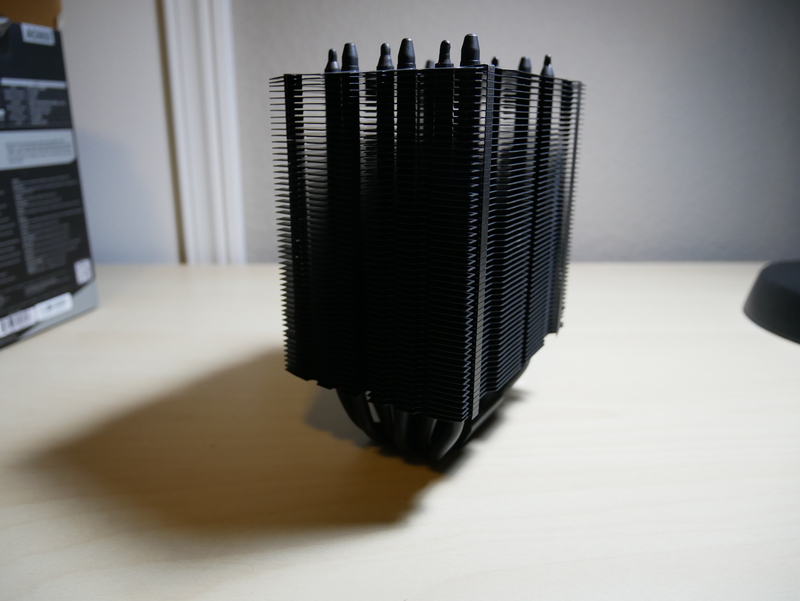 Windale 6 provides a better connection to minimize movement and noise between fan and heatsink. Easy Installation for Intel and AMD CPUs: Windale 6 equipped with multiple clips to support installation. 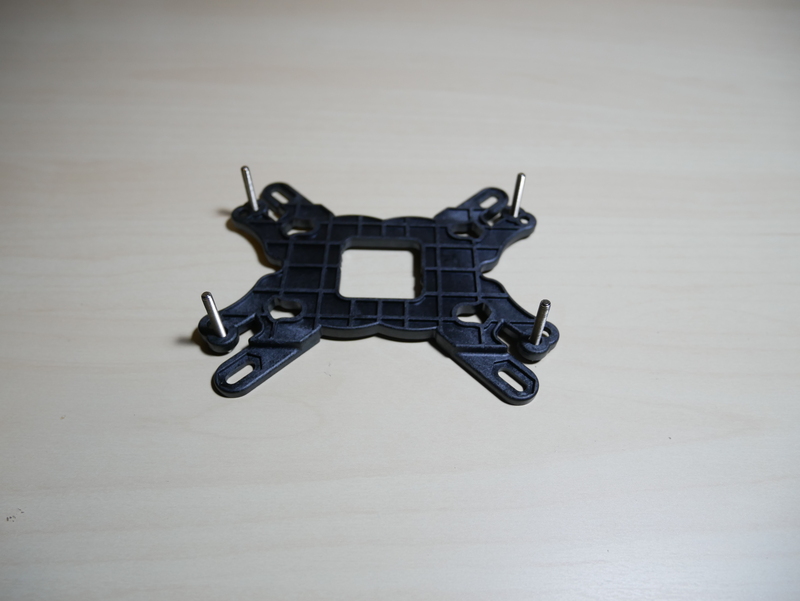 Universal mounting bracket is compatible with both sockets of Intel and AMD. 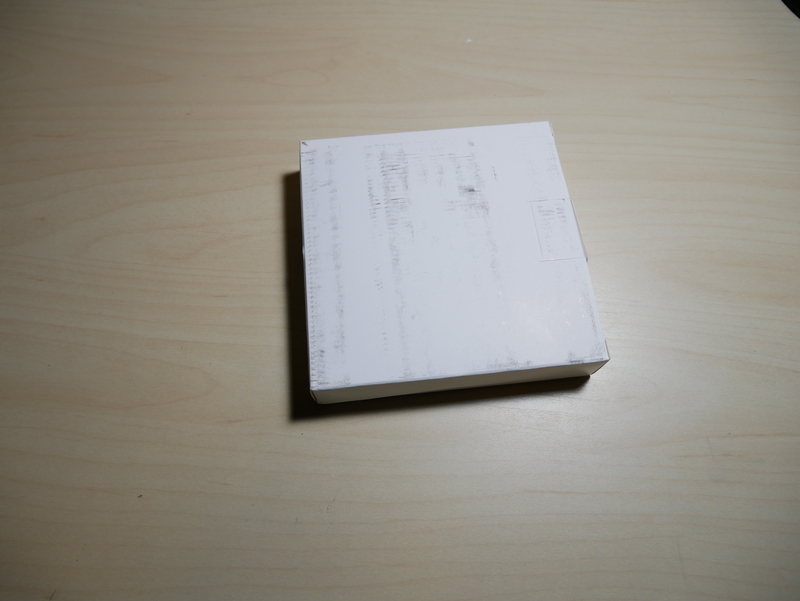 As we take a closer look at the box, you are greeted with a nice blue and black color scheme on the box. The front of the box has a nice picture of the Windale 6 and some literature. 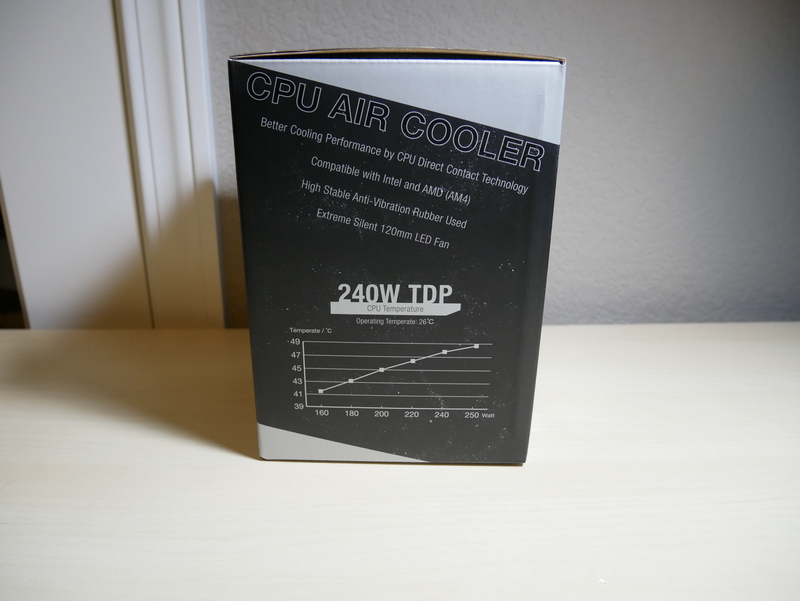 On the left side of the box you have more literature and then also a chart with the efficiency curve and also displayed is that this cooler is capable of dissipating heat up to 240w tdp. 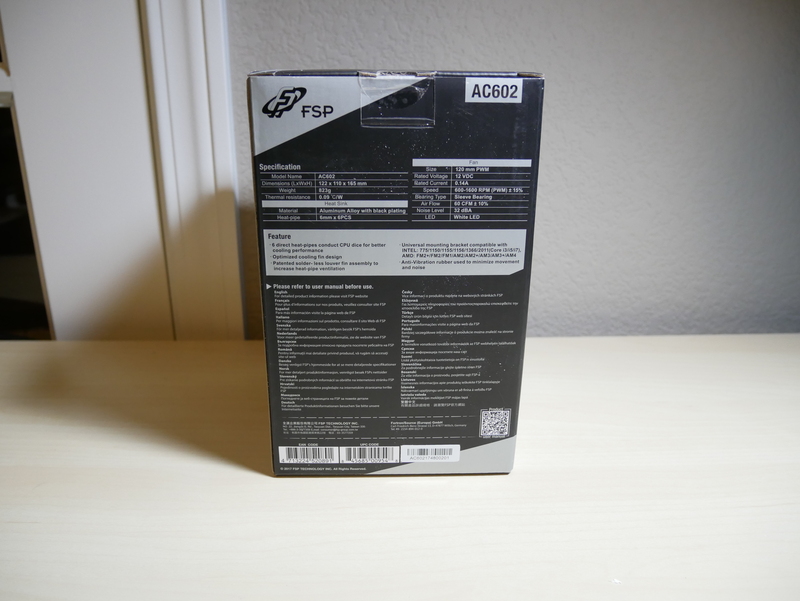 The back of the box displays the specifications for the cooler. When we open the box, you notice that the cooler is packaged with the fan attached to the cooler. The accessories box is also placed in the box. 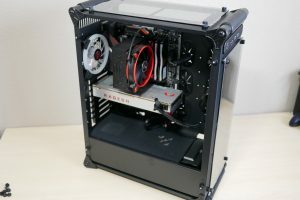 Inside the accessories box you will find all the screws, rubber isolators and the mounting bracket to be able to mount this cooler to any mainstream AMD or Intel CPU socket. Right off the back looking at the FSP Windale 6, you notice right away that they had aesthetics in mind and the cooler has a black paint job on the cooler fins. 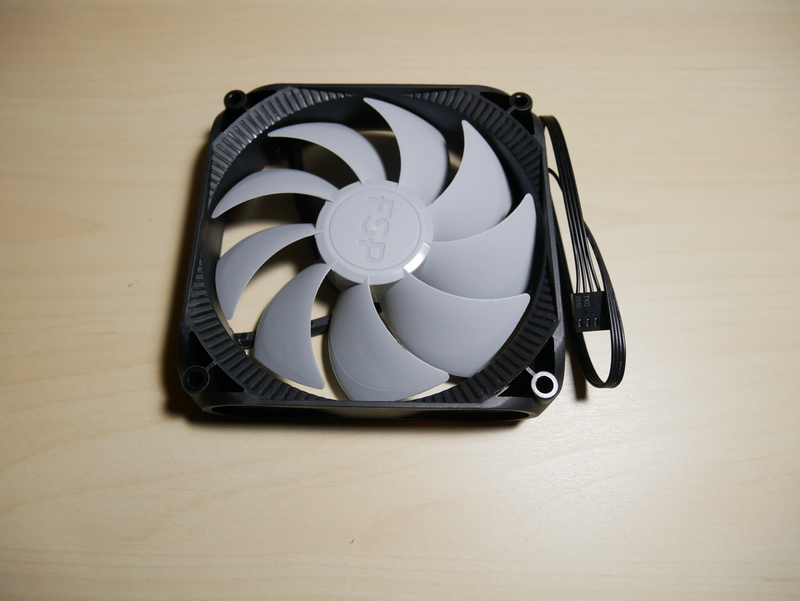 The 120mm fan is a black outer shroud and the fan is a grey color. 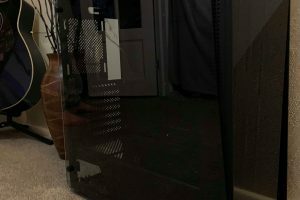 Overall this is a great aesthetic and I believe it could compliment almost any build. At the top of you cooler you can see that FSP had the right level of detail to paint the heatpipes all the way down to the cold plate, where they make direct contact with the CPU heat spreader. The Fins have a nice design and you also notice that the many fins will help disapate the heat that is collected by the heat pipes. The fan is secured to the cooler via rubber isolators. I like this approach because it is far easier than the typical metal clips,it looks asethically pleasing and dampens an vibrations from the fan. 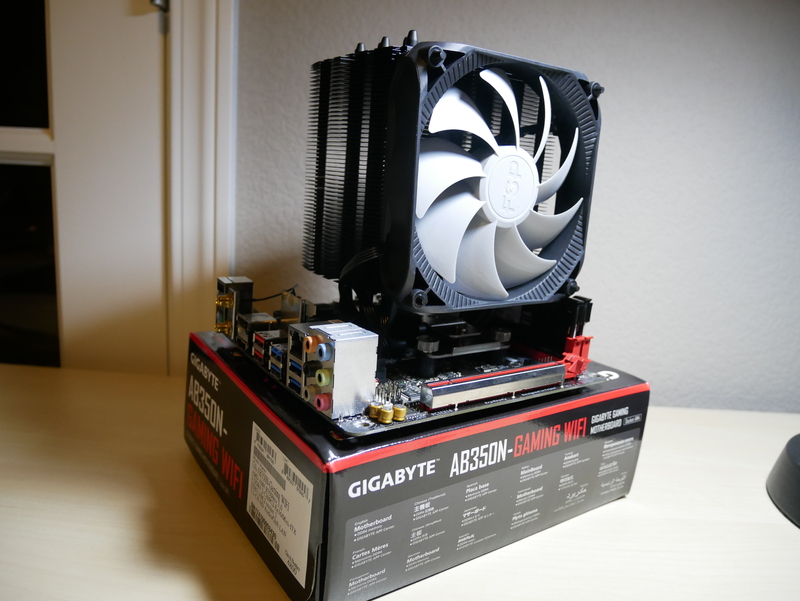 Lastly, the 120 mm fan does have an LED, which is white. 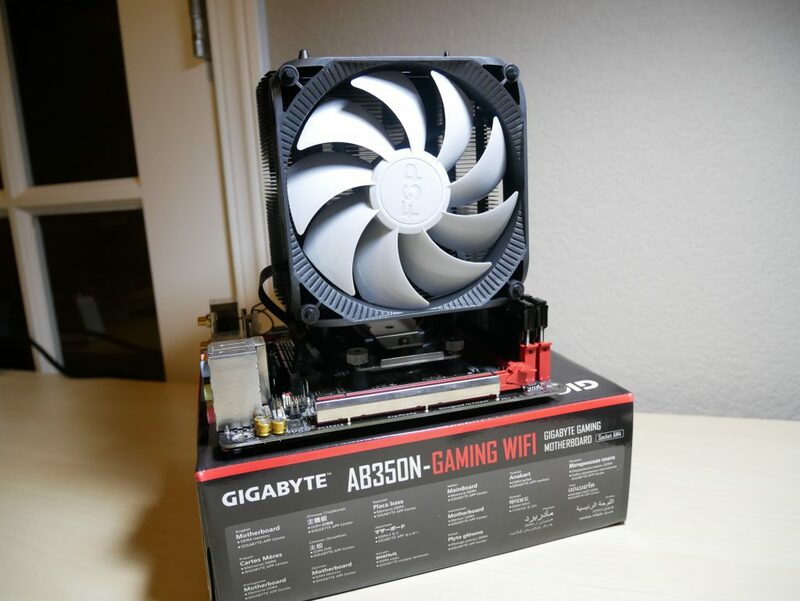 While I wish that FSP could have used an RGB fan, a white LED fan is not distracting and could fit almost any build color scheme. You also have the option of disabling the LED if the white clashes with your scheme. Installation of the Windale 6 was fairly straight forward. 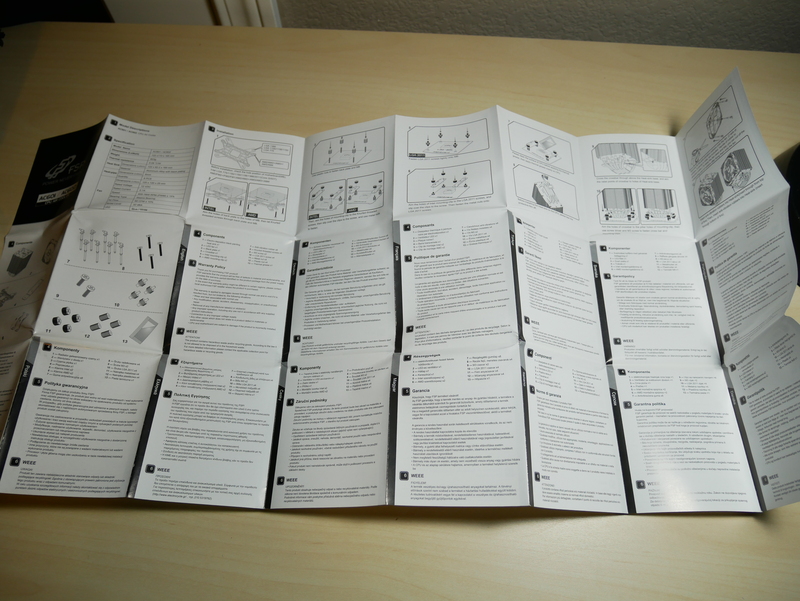 The directions were easy to read and understand. First you start by inserting the four long screws into the back of the backplate. 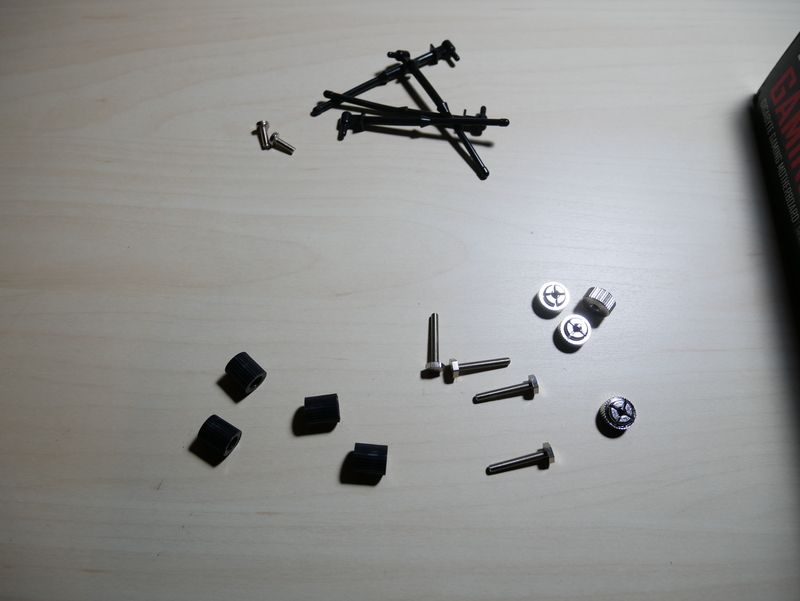 Next you thread the bolts through the holes in your motherboard. Next you secure the backplate by screwing four black plastic retaining pillars. 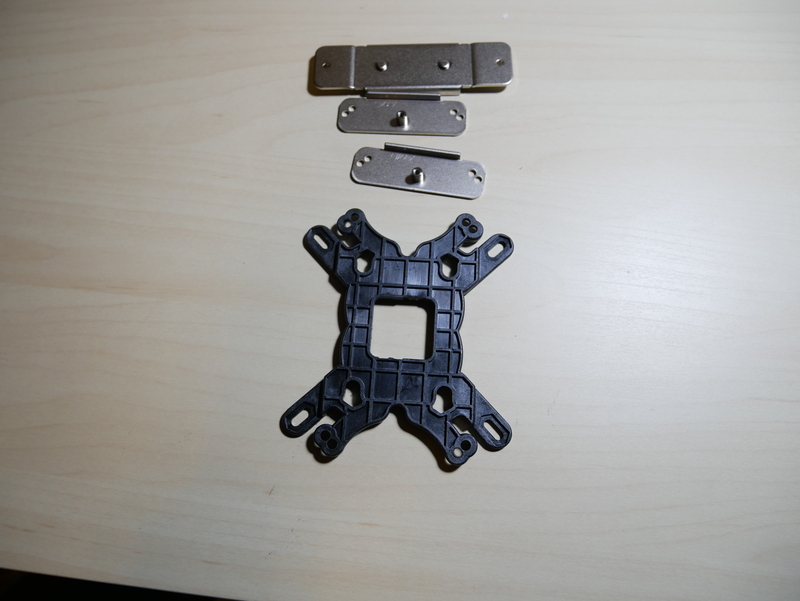 After that, you use four silver screw heads to secure the socket mounting brackets to the pillars. 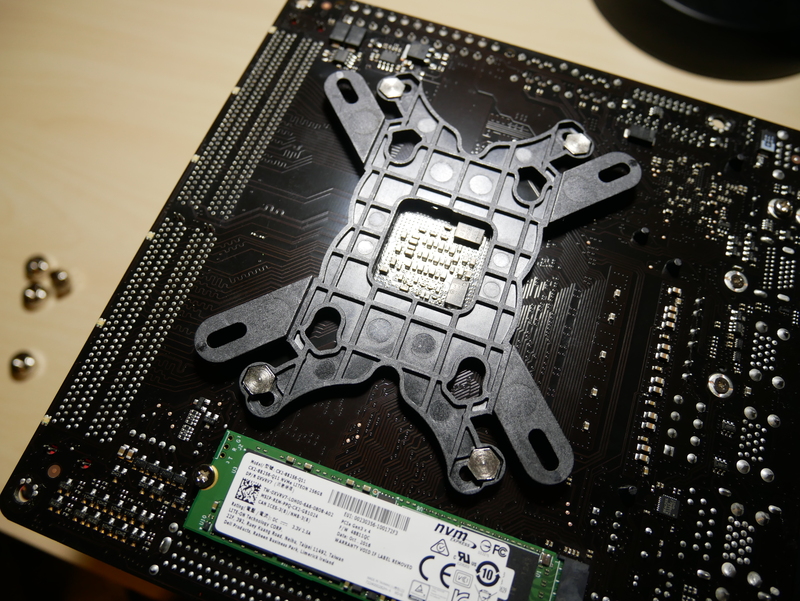 Lastly, You use the crossbar and two small screws to attach the CPU cooler to the mounting brackets. 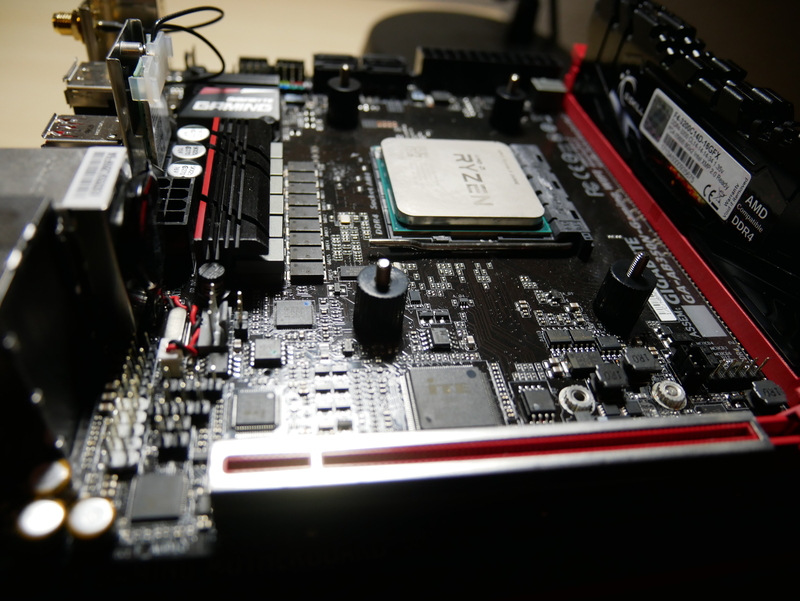 While their are several steps with the mounting hardware, this allows FSP to allow the CPU cooler to be compatible with many sockets. 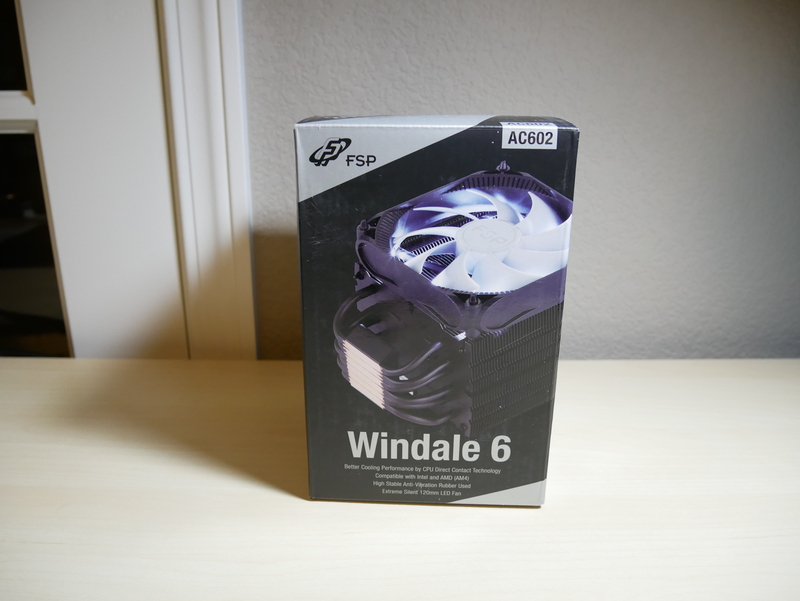 The FSP Windale 6 was able to keep the 2400g at 26 C and below during idle in all test variations of idle. 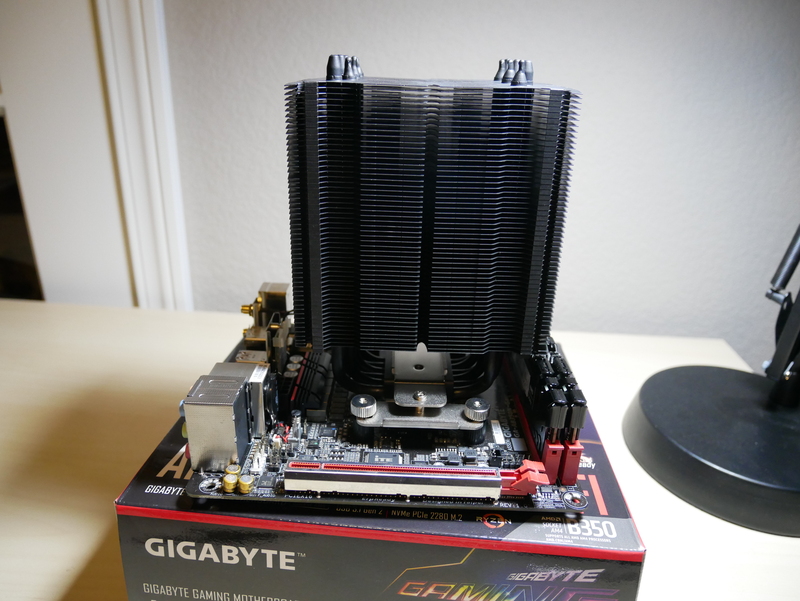 This is an improvement over the wraith stealth as it was only able to keep the 2400g at 26-28 C in all test variations of idle. When testing Metro Last Light you can see that the FSP Windale able to hold its own, keeping the 2400g overclocked on both the CPU and GPU at bay with a temperature of 50.3 C.
A similar story for Realbench, the Wraith Stealth had consistent temps in the 80’s C, while the Windale 6 was no higher than 76 C.
For a game that is primarily used as a benchmark, the Windale was able to keep the 2400g (1500 mhz on the GPU) at a lower 65 C, compared to 75.1 C with the Wraith Stealth. For Rise of the Tomb Raider, the Windale 6 was able to improve upon stock temps by 18.5 C.
During testing of Cinebench R15, the Wraith Stealth allowed the 2400g (GPU 1500 mhz overclock) to climb to a toasty 93 C after one run. The Windale 6 under the same overclock was able to maintain a maximum of 74.1 C after three runs. 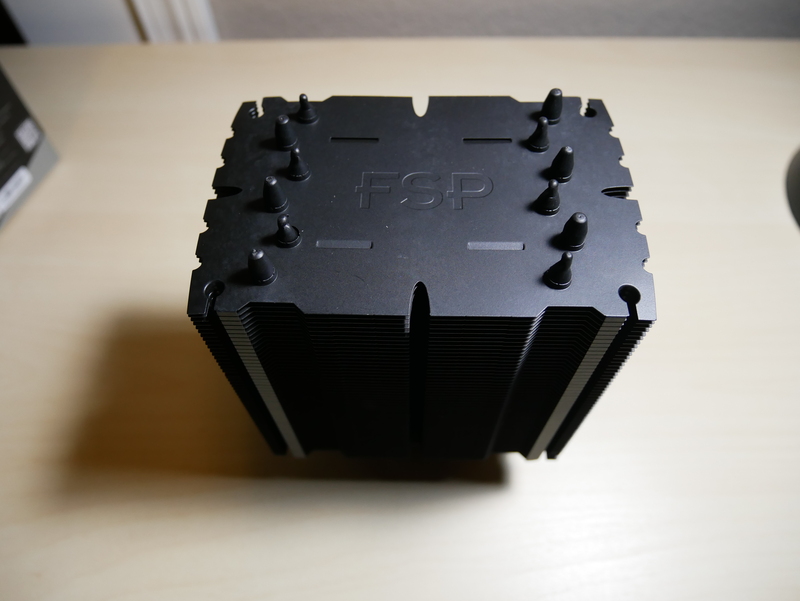 Bottom Line For a CPU cooler that comes in at around $45, the FSP Windale is a great candidate for users who want cool temperatures, great aesthetics from a company that is one of the best quality PSUs manufactures.